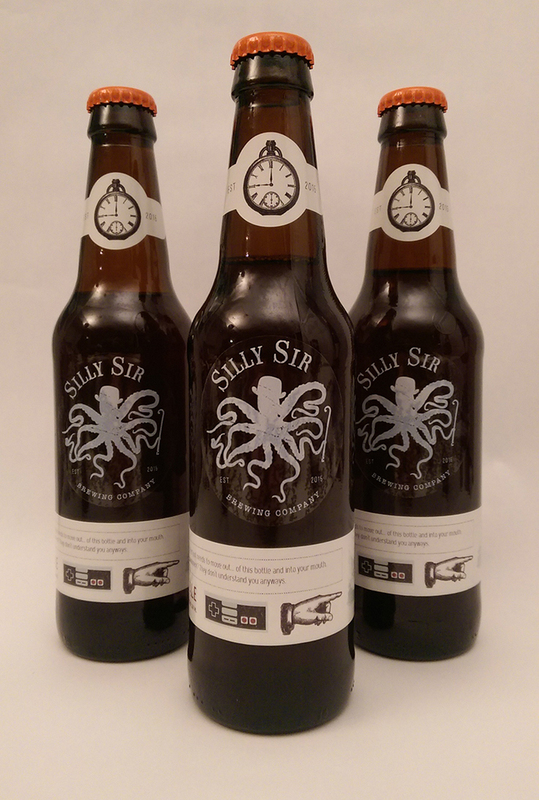 Silly Sir Brewing Co.The Silly Sir Museum - Silly Sir Brewing Co.
^ Parent's Basement Irish Red Ale - Our first beer. 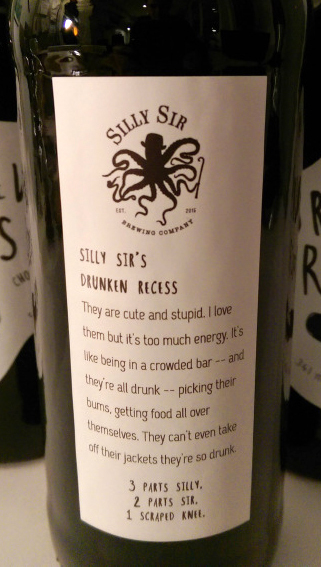 It was brewed in my parent's basement and includes the tag "Parent's Basement Irish Red just needs to move out... of this bottle and into your mouth!..." It was a satirical reflection on my own situation. Fortunately I moved out shortly thereafter, having accumulated a hearty sum through living off their coattails. Lovely people, my folks. You should meet them. What I learned in brewing this beer was that a) casual beer drinkers really enjoy the malt in Irish ales, and b) I must careful in carbonating my beers. This one ended up way too carbonated. 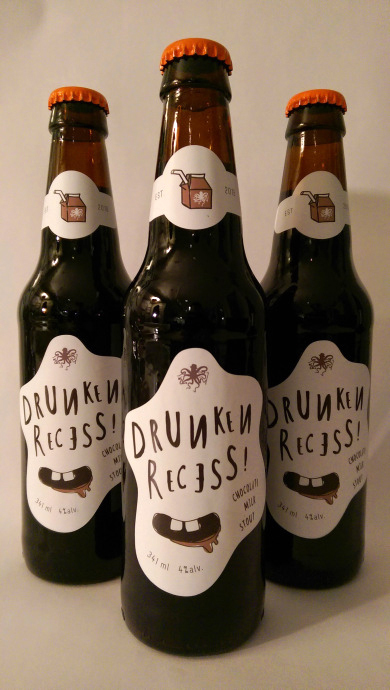 ^ Drunken Recess Chocolate Milk Stout - As a teacher, I often supervise recess and observe how children choose to spend their play time. Some roll on the ground, many scream loudly for no apparent reason. In other words, they often mimic drunk adults, and were they fully grown would likely be arrested for public intoxication. What I learned in brewing this beer was that while mistakes happen, sometimes they can be blessing in disguise. I added the cocoa nibs at the wrong step, and so extracted less chocolate flavour than I should of, and got more coffee flavour. I really love coffee, more so than chocolate, so I really enjoyed this one. 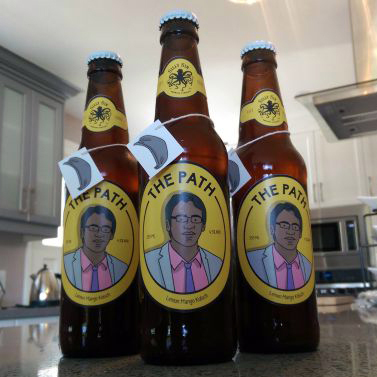 ^ The Path Lemon Mango Kolsch - One of my most interesting and talented friends was going away to Sri Lanka, and so I brewed a beer in his honour for his going away party. You can peel off his sticker hat, and place it on his head to complete the experience. Sanjay is nothing without his hat. 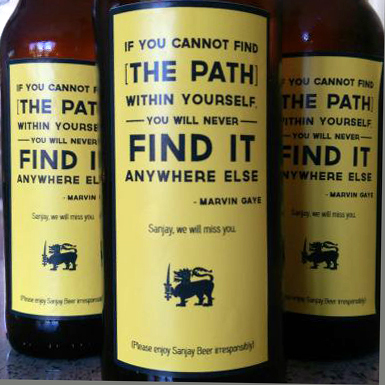 This beer tasted good, and was quite popular. That being said, there was a significant amount of mango pulp left in the beer that if drunk from the bottle could not be seen nor felt in the mouth, but if poured in the glass looked really gross. Fortunately most people enjoyed this one in the bottle, and were none the wiser to the pulp (mostly because it rested on the bottom). Lesson learned. That's (some of) it for now. 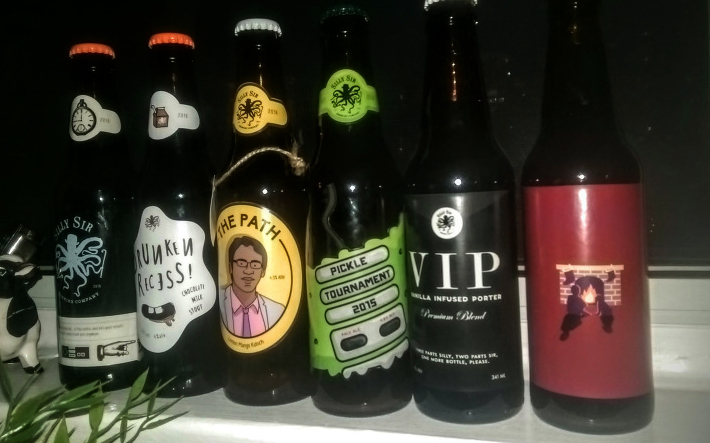 In my next post, I'll delve into the next three beers and you may be surprised which one I'm proudest of.